For more than three decades we’ve been involved in our community—making the work we do even more worthwhile. We’ve been a driving force in getting mushrooms the attention they deserve—and we’re proud of it. 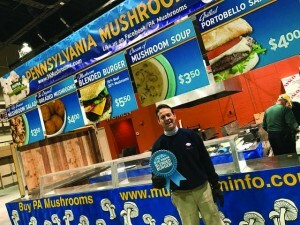 We are regular participants in the Kennett Square Mushroom Festival and the Pennsylvania Farm Show and members of the Pennsylvania Preferred Program. And, going above and beyond our local ties and connections, we have helped to fund global research through the ALS association of Greater Philadelphia in the name of our founder, Rosemarie Ferranto. Those are just a few examples of the way we give back. Because, to us, we don’t just grow mushrooms. We believe in growing relationships. Buona Foods is a proud member of the PA Preferred program. Pennsylvania has a rich agricultural heritage and this program highlights locally grown products so consumers can identify and purchase them. In this way shoppers can support their local growers and Pennsylvania’s economy. Thousands of growers, producers, and retailers are working with the program to restore pride in Pennsylvania-made products and enrich their community. Look for the PA Preferred logo on produce, dairy, meats, and nursery products wherever you shop.